Best known for her hymn “O Loving God,” Paulette M. McCoy draws on decades of music ministry experience in her work with OCP, such as her music suggestions in The Catholic Catechist’s Companion. Paulette McCoy began singing in her parish choir at age eight. She has been active in music ministry since her high school years, serving as a contemporary ensemble director, choir director and cantor. She received a bachelor’s in music from Marylhurst University with emphasis on vocal performance, and a master’s in theological studies from the University of Dallas. She has performed in musicals, professional choirs and quartets throughout her career. Paulette co-wrote a music program for “Young Audiences of America” promoting music and the arts in local elementary schools. An OCP employee from 1986 to 2005, she provided the music suggestions in The Catholic Catechist’s Companion. 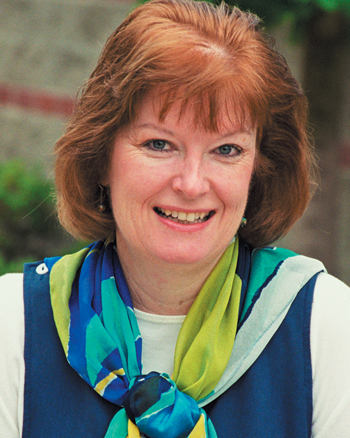 She currently is the Director of Music at All Saints Parish in Portland and sings with the Vancouver Master Chorale.